the missionaries erased"; and European forebears who as settlers pushed their way relentlessly west. Through her vivid imagery, Rose speaks to and for these ancestors with a sense of loss and an itching caused by the biases provoked by ethnic chauvinism. 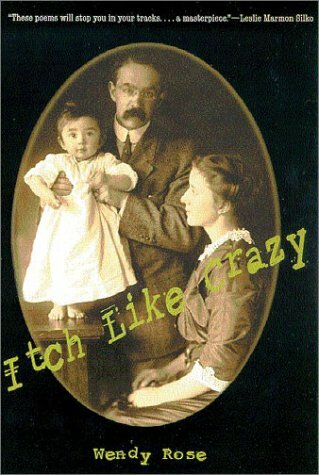 Itch Like Crazy is a finely crafted literary work that is also a manifesto addressing contacts and conflicts in the history of Indian-white relations. By presenting another view of U.S. history and its impact on the Native Americans who are Rose's ancestors, it offers a new appreciation of the issue of "tribal identity" that too often faces Native peoples of the Americas -- and is too often misunderstood by Euro-American society. Book jacket.